Bacon is the wonder ingredient. It has the power to transform both sweet and savory dishes into something even more amazing. Such is the case with brussels sprouts. These little micro cabbage looking vegetables are delicious when pan roasted with bits of bacon. 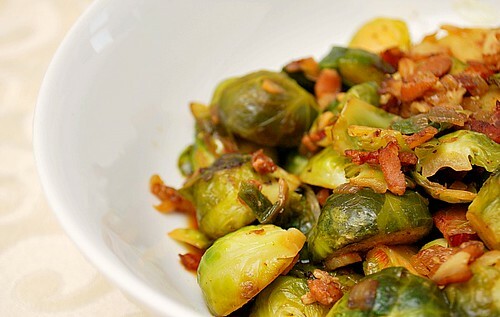 As I started reviewing potential dishes for our Thanksgiving meal, I made these Pan Roasted Brussels Sprouts with Bacon for a test run and yes... they're definitely going on our holiday table this year! Cook bacon in a large skillet over medium-high heat until crispy. Remove to a paper towel-lined plate, then roughly chop. In same pan with bacon fat, melt butter over high heat. 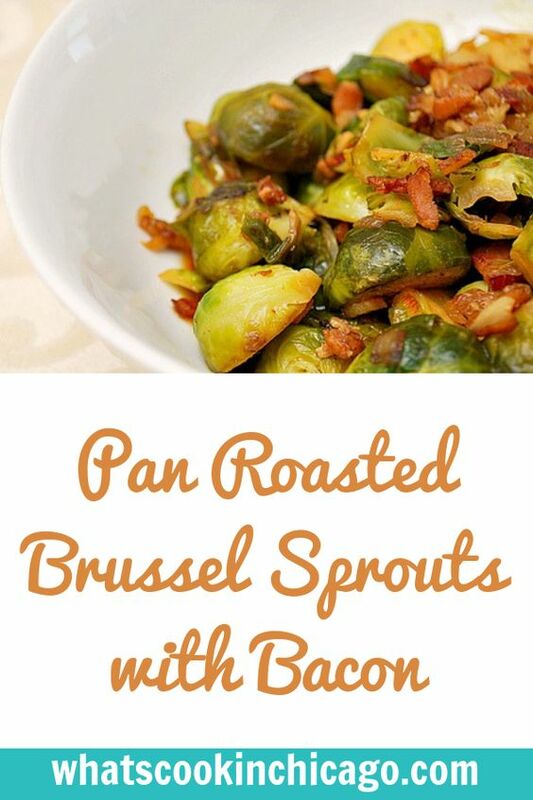 Add onions and brussels sprouts and cook, stirring occasionally, until sprouts are golden brown, 8 to 10 minutes. Season with salt and pepper, to taste, and toss bacon back into pan. Serve immediately.